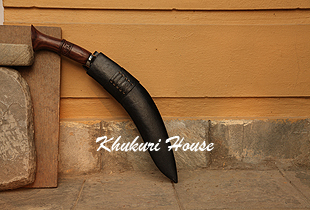 Blast From Past are the series of Khukuri blades that were used many years ago, it could be a decade old or centuries ago but these Khukuri blades no longer exists now a days and are now just collectibles only. The wonderful skills those craftsmen had in the olden days were never carried on which led to extinction of these marvelous blades. As times changes so did the craftsmanship and the craftsmen hence the stoppage to those old styles and models. But here comes Khukuri House to revive all these golden blades. There are many and were the Prides and Jewels of Nepal and this House with our most skilled craftsmen would revive them one by one until all are restored. It would be a prize possession to own one of these in your collection, to go back into those golden old moments and relive the history of Khukuris. Inspired Khukuri from a very Classic blade from the 18th - 19th century, very unique and most difficult one to find but KH is here to replicate one for collectors.